Direct to Garment Printing and Transfer Paper Printers are two top competitors for creating professional looking custom t-shirts. And this has certainly been true for on the past couple years with the creation of the Digital HeatFX™ system and the arrival of white toner LED printers. The Digital HeatFX™ system is based on the popular white toner printer by Oki, the Okidata pro8432wt. Why a White Toner Printer? Most color laser printers use CMYK toners to print. That’s a combination of Cyan, Yellow, Magenta and Black toners. These colors combine beautifully to make all of the images that you’ve seen in magazines, on posters and just about everywhere. Of course, if you print on t-shirt transfer paper with this ink set (CMYK) you can get a great full color t-shirt image too… as long as you’re printing on a white or light colored shirt. However, you run into a problem when you apply the t-shirt transfer paper using a NON-White Toner printer. For instance, with a black cotton t-shirt there is a big problem. The colors in the transfer combine with the black in the shirt. They come out DULL at best, and look like a completely different color at worst. For instance, a CocaCola® red color ends up looking like an old brick red color. Ordinary printers, make T-shirt come out DULL at best, and look like a completely different color at worst. The solution is printing those images with a white background. That way, the CocaCola® red color is sitting on top of a layer of white. The colors stay RICH and look terrific on any color shirt as long as you have that white layer in the background. Does that make sense? 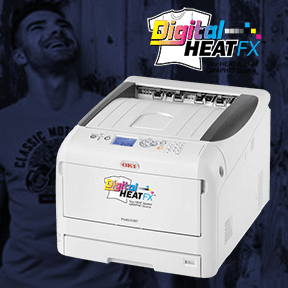 The Digital HeatFX system includes a special printer that uses CMY-W toners. The “K”, which is BLACK in our first example, is replaced with the “W” which is white toner. Now when you print any image and use the Digital HeatFX™ Laser EZ Peel papers to match, you get amazing colors on light colored or dark colored shirts. That’s why a having white toner transfer paper printer is important. Here’s how You would make a shirt with a Digital HeatFX-style system. First, no matter what system you’re going to use, you’ll need to start with a graphic to put on the t-shirt. Use the “A” side of the Laser EZ Peel transfer papers. The t-shirt transfer paper comes in a set of 2 sheets. The “A” sheet is what you print on. It looks like a transparency you may have seen in school. Combine the A and B papers. The “B” paper is where the glue is. So, you’ll lay the printed sheet on top of this one and heat press them together. This takes about two minutes. Heat press the completed transfer paper onto the shirt. Depending on the garment material, this is about a 30 second press. This is not a weeding process. You grab a corner and remove the A sheet and all that’s left on the shirt is your image! Another option is a DTG printer. A direct to garment printer is a specially made inkjet printer made for T-Shirts and other Garments. Whereas the Digital HeatFX™ was based on an LED/Laser printer and uses toner. 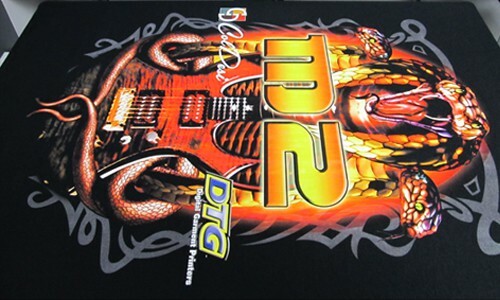 The DTG™ is based on an inkjet printer and uses special environmentally friendly inks. The name describes the process! The “direct” part of direct to garment printer means you print directly onto the shirt. It’s not a t-shirt transfer printer, where you make a transfer first and then apply it, you actually run the shirt itself through a DTG printer. You’ll want one that’s high resolution with no background. Every ColDesi® direct to garment printer comes with a special software that allows you to “knock out” (remove) the background, so you have some flexibility. No Heat Transfer Paper needed. When you print with DTG, especially onto a dark shirt, you’ll need to prime the surface much like you use primer before you paint. Except this is much easier. You can use a pretreatment machine or a hand sprayer to apply a small layer of special pretreatment to your shirt. Good pretreatment contributes to how good the shirt looks AND how long the image lasts. Your shirt has to be dry before you print on it, so you’ll need to heat press the shirt for about 30 seconds. Rather than load paper into a printer like with the Digital HeatFX transfer paper system, you load the SHIRT into the printer. With the M2 Direct to Garment Printer you can print on 1, 2 or 4 shirts at once, so in this step you would load up the appropriate quantity. You’ll need to heat the shirts again to dry and set the inks. Most people use a heat press to do this. It takes 2 minutes for a dark shirt and about 1 minute for lights. Some larger companies use a belt or conveyor dryer. That’s better for doing LOTS of custom t-shirts, but takes up space and gives the shirt as different feel. Did you notice the differences? There are 5 Steps in each one. Some the same, a few different. You need a heat press and good graphics for both. You end up with a great looking custom t-shirt in the end with either system. So then, what are the Pros and Cons of each? Which one is right for YOUR business? Let’s take a look at what makes these 2 technologies so different. This is usually why someone initially ends up looking at one technology or the other. We’ll use product bundles for each that include everything you’ll need to get started, including a heat press, etc. The Digital HeatFX System $10,843 or $299/month – This includes the white toner printer, a top of the line heat press that is strongly recommended, and a good initial supply of Laser EZ Peel paper. Find the details here. The M2 Plus Package $24,849 or $525/month – Direct to Garment printers start out more expensive than white toner systems, and in this bundle you get the pretreatment machine discussed previously along with a heat press with a timer and automatic open so you don’t over heat your shirts. You can see more details here. The advantage here is for the Digital HeatFX System at a little over $14K less up front and a monthly savings of more than $220 if you lease. This is where the DTG process has the advantage over any t-shirt transfer process. Ink is much, much cheaper than transfer paper. A full size 10” x 16” print with DTG on a light shirt will cost about $.35. That’s fifteen cents in ink + about twenty cents in pretreatment. On a dark shirt it will cost about $1.04. The resolution you want to print. The cost of t-shirt transfer prints is only variable on size (the toner cost is pretty insignificant). So if you sell two 8”x 10” prints you can get 2 on a sheet, so your transfer cost goes down to $1.90-$2.25. The advantage here is for the M2 Direct to Garment Printer. The difference in cost per image in supplies alone shows DTG allowing you to make as much as $2.80 more on dark shirts and a whopping $3.50 more on a light shirt. If you ONLY sell 100 shirts per month you’ll make up the difference in what the lease would cost. Then, if you sell 300 shirts a month (which is average) you could make an additional $1,050 in profit per month vs making the same shirts with a white toner printer t-shirt transfer system. Lease an M2 Plus Bundle and sell 300 shirts per month and in 10 months you could buy a Digital HeatFX system outright for the difference in profit per shirt. The Digital HeatFX system is color laserjet based and uses a special LED / Laser printer that will take sheets up to 11×17. You need to leave a safety margin around the edges to you actually have about 10”x16” to work with. Also, whenever you’re using a transfer sheet you’ll have to keep waste in mind. For example, printing 2 10 x 10 designs will cost you exactly the same price as printing 2 10” x 16” designs. That’s because the odds that you’ll be able to use the rest of the empty space on the sheet for a different job isn’t impossible, but it’s not very likely. The M2 direct to garment printer will print a single image up to 16.5” x 24”. You can get up to 396 square inches of design on an M2 vs. 160 square inches on a white toner printer. Being able to offer very large designs for very large t-shirt sizes can make you very large amounts of money! People will pay more for a design that looks proportional on an XXL or XL t-shirt than they will for the a design for a small shirt. Imagine being at a family reunion next to the guy with an 3XL shirt who’s standing next to the girl with a SMALL shirt. If the image is the same print size it will look small on the big guy and too large on the lady. The M2 Direct to Garment Printer definitely has the advantage in print size. Direct to Garment printers work best on 100% cotton t-shirts. Preferably high quality, ring spun cotton. It also does an amazing job on white polyester shirts, which are very popular. And most low quantity custom printed t-shirts sold are black cottons. But the trend in the market is towards polyester and blended fabrics. Performance wear is hot! While not EVERY fabric in the world does well with a Digital HeatFX transfer applied, the vast majority work great. This means you are not limited to 100% cotton, white poly or a few select dark polyester shirts like with DTG. You’ll be able to print on poly, blends, nylon.. tons of different materials. The flexibility of printing on synthetic fabrics means that you can satisfy more and different kinds of customers. That means more sales to more people. And THAT means more profits. DTG will print on art canvas, bags and other things made with natural fibers like cotton. Digital HeatFX transfer can be applied to all of those same items, but ALSO to cups and mugs and balls, if you buy the right heat press. Printing on more things is a clear advantage for the Digital HeatFX System. 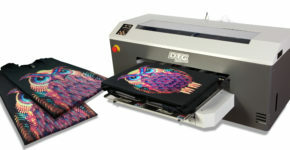 the Digital HeatFX t-shirt transfer system will allow you to do that the DTG can’t offer an equivalent for is to sell the transfers themselves. There are many people that prefer to do a wholesale transfer business. That means you never apply them to shirts, you just sell the transfers to t-shirt shops that don’t have a printer. The great part about this is that it’s an easier sale. You don’t have to worry about picking or stocking blank shirts. The downside is that the profits are going to be pretty small per transfer. DTG printers require maintenance at least every day or so. It doesn’t take long, about 10 minutes or so, but if you don’t maintain your machine it will cost you thousands in repairs/replaced parts. when you print with DTG on a light colored shirt, you cannot even feel the print. The “hand” or the way the garment feels after printing, is amazing. Dark shirts are a little stiffer and feel more like screen printing. T-Shirt transfers have a heavier hand and feel more “papery” depending on the design. Which Printer is Better for YOU? But here’s a few things to remember. 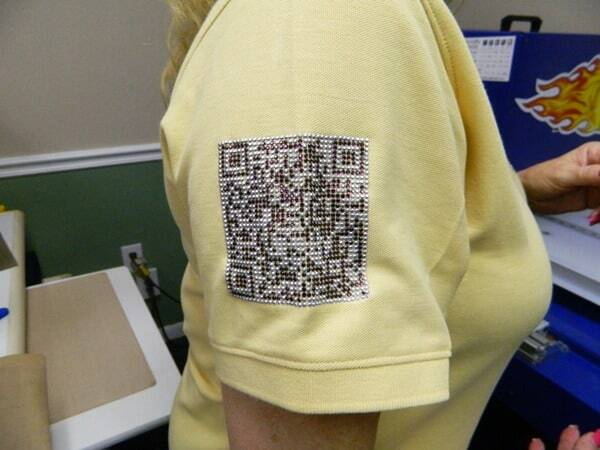 The Direct to Garment Printer is going to be more profitable over time. Digital HeatFX is easier to purchase up front. 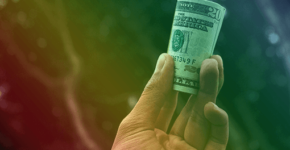 That lower cost makes a big difference to cash buyers. You can print on more stuff, like performance wear. 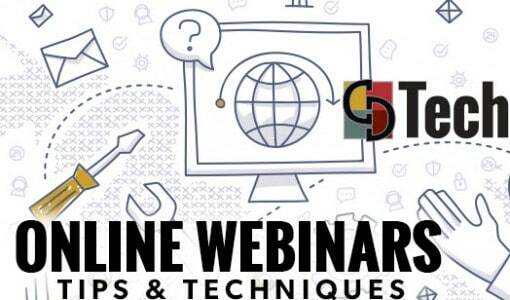 This will get you more clients in more niche markets. Getting to say “yes” to potential customers more often is BIG.